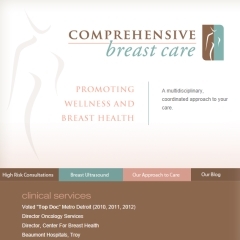 One of the top breast cancer specialists in the Detroit Metro area came to us for a new website. 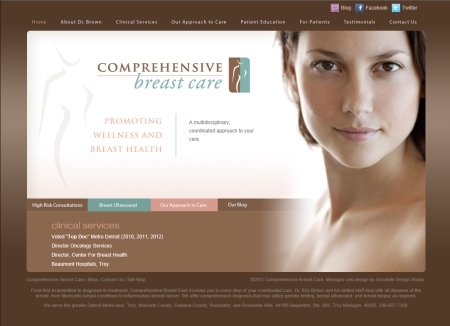 I wrote all of the web copy for this site and optimized the site for the search engines. Writing for this audience required thinking about their mindset at the time when they’re looking for a cancer care specialist. People are generally scared and looking for answers. For this reason, the content has the tone of speaking directly to the audience and providing reassuring information.